Debra Mohnen is a professor of biochemistry and molecular biology with the UGA Franklin College of Arts and Sciences and a member of UGA’s Complex Carbohydrate Research Center. These two faculty members are among 388 new AAAS Fellows who will be presented with an official certificate and a gold and blue (representing science and engineering, respectively) rosette pin on Saturday, Feb. 15, from 8 to 10 a.m. at the AAAS Fellows Forum during the 2014 AAAS Annual Meeting in Chicago. 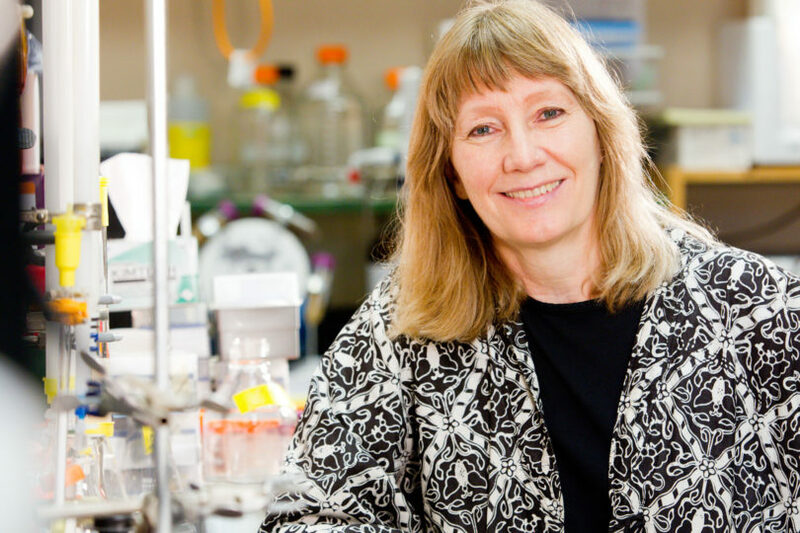 Debra Mohnen, professor of biochemistry and molecular biology: Mohnen is recognized for pioneering work describing the biosynthesis of pectins and unraveling their role in plant cell wall integrity. Robert A. Scott, professor of chemistry, biochemistry and molecular biology and associate vice president for research: Scott is recognized for distinguished contributions to metallobiochemistry, particularly on applications of synchrotron radiation-based techniques in bioinorganic chemistry, and for outstanding student training and university administration. The tradition of AAAS Fellows began in 1874. Currently, members can be considered for the rank of Fellow if nominated by the steering groups of the association’s 24 sections, or by any three Fellows who are current AAAS members (as long as two of the three sponsors are not affiliated with the nominee’s institution), or by the AAAS chief executive officer. Fellows must have been continuous members of AAAS for four years by the end of the calendar year in which they are elected. The American Association for the Advancement of Science is the world’s largest general scientific society and publisher of the journal Science (www.sciencemag.org) as well as Science Translational Medicine (www.sciencetranslationalmedicine.org) and Science Signaling (www.sciencesignaling.org). AAAS was founded in 1848 and includes 261 affiliated societies and academies of science, serving 10 million individuals. Science has the largest paid circulation of any peer-reviewed general science journal in the world, with an estimated total readership of 1 million. The nonprofit AAAS (www.aaas.org) is open to all and fulfills its mission to “advance science and serve society” through initiatives in science policy, international programs, science education and more. For the latest research news, log onto EurekAlert!, www.eurekalert.org, the premier science-news website, a service of AAAS.